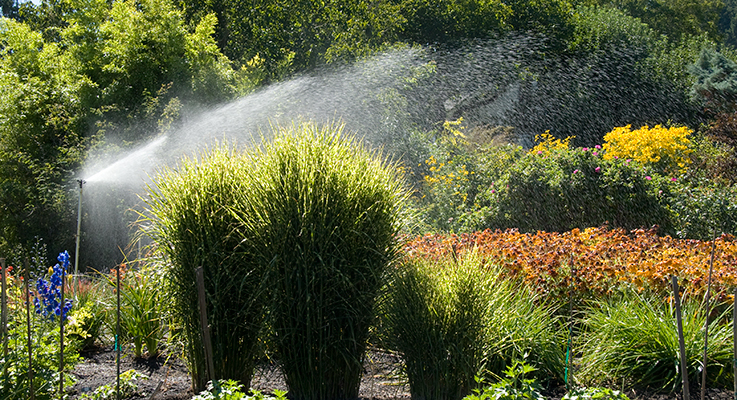 Every day, nurseries face a basic reality: plants need water. They require it not just to grow, but simply to survive. By reputation, one might think Oregon — particularly the state’s wetter western half, where most nursery production is situated — has plenty of water to meet the needs of its nearly $1 billion nursery industry. But with recent droughts, the threat of climate change, and the increased demands from multiple users, growers can’t afford to take water availability for granted now or in the future. “The fact remains in summer into late fall, we’re one of the driest regions of the country,” said Jeff Stone, executive director of the Oregon Association of Nurseries. To draw water, one must have a water right. That’s no guarantee water won’t run out later in the season for physical or legal reasons. The nursery industry is working with other water users to help everyone get more out of the existing supply through conservation, storage projects and water law reforms. Water rights come with a priority date and other stipulations. Growers are well advised to know how to perfect and protect a water right once it is secured, and defend it if need be against potential challenges. An effective treatment program yields additional water for reuse, but that’s not the only benefit. Such programs also prevent pollution, thereby protecting the industry as a whole against the specter of adverse regulation, but growers must follow certain guidelines for nursery pond creation, operation and maintenance. An increasing number of consumers wish to care for the environment in various ways. One is to conserve water by planting water-wise plants. Experts have several favorites. We hope you find the Water Issue of Digger magazine to be helpful. It is part of a series of special issues addressing major challenges the industry is facing. We started this past May with the Labor Issue, and will continue next May with the Future Issue and next November with our Transportation Issue.